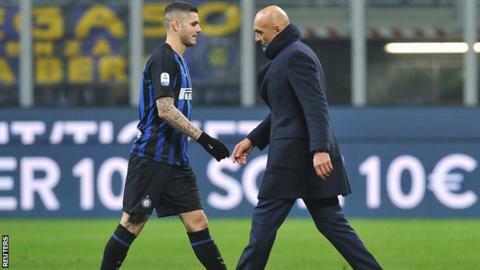 The decision to scrap Icardi of the captaincy comes only days after his wife and agent Wanda Nara had caused irritation by complaining that her husband was not being given enough support by his teammates. Having scored three times in his last ten appearances for the club, his manager Luciano Spaletti suggested at the weekend that his contract talks are having an impact on his performances. He is quoted by Football Italia as saying: "I have not created any problems for Icardi".